Awesome news! We gear up for growth and new foothold in the US real estate market. Being accepted into Moderne Ventures Passport program, CubiCasa gets access to top-level decision makers of the world’s largest real estate companies. For the rest of 2017, our calendar fills up with major clients, like Keller Williams, HSF Affiliates, Realogy, CBRE, Greystar, The Realty Alliance, MLSListings, Airbnb, plus the whole Moderne Network. 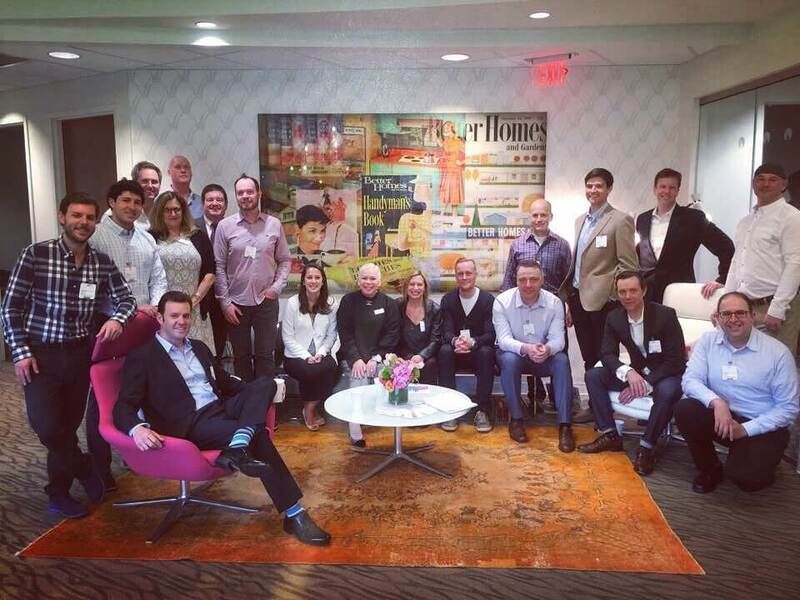 What caught the attention of Moderne Ventures? Our first encounter in Inman Connect ‘17, a brief meetup that gradually grew into the current agreement. During the application process, there was a number of things that the Moderne folks immediately realized the opportunity. We have defined a relevant problem and a solution that works. Floor plans are an undervalued asset in real estate listings and ads. This means we have the potential to solve the case (more below). The Moderne people admired our tech and vision to utilize AI and machine learning, a focused real estate specific approach, state of the art solution. Bullseye. The service and the business model coexist and validate each other. It is possible to build a SaaS/subscription model for floor plans and 3D tours. Our data library enables a great number of applications, from APIs to output formats and even platforms. 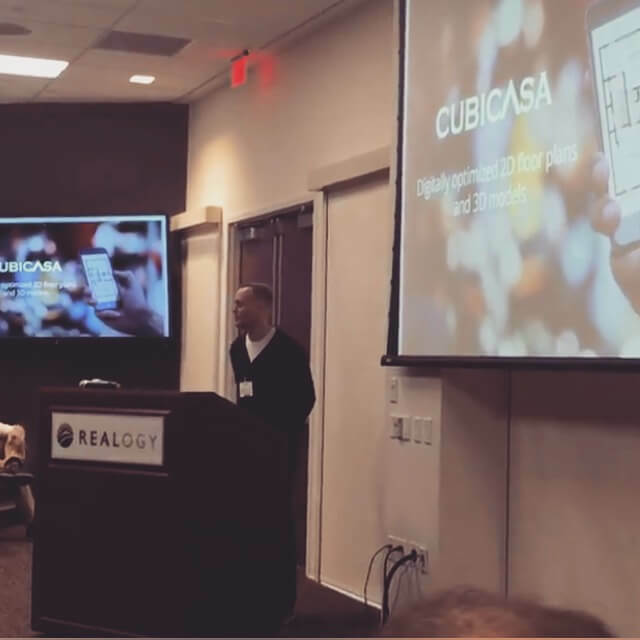 “CubiCasa is solving a problem that many people don’t know exists; valuable interior property dimensions and layout data is extremely fragmented in location and format, often making it unusable for today’s digital needs. 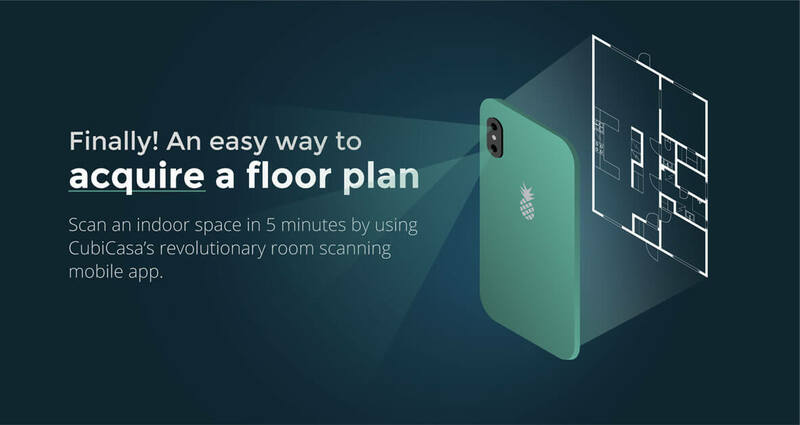 Their ability to thoughtfully convert and create accurate 2D floor plans and 3D models, while standardizing the digitally optimized data at scale, addresses a big consumer demand. CubiCasa is also unlocking opportunity for property marketers and is positioned to help increase the accuracy of building intelligence as well as other property valuation models”, says Jeff Corbett, Director at Moderne Ventures. Roughly two years ago, when we got our first US deals, one thing surprised us: floor plans were far away from being the ‘usual stuff’, despite that the home buyers love floor plans (according to NAR). To confirm our view, we published a blog on the importance and absence of floor plans. The agents have valid reasons for their choices, mainly due to lack of source materials. Being this hard, it’s no wonder why the situation is what it is. Additional property visualizations may be expensive and time-consuming to produce. Fortunately, in all chicken-or-egg problems, the best answer is yes. Our updated online service redraws all sources into stylish floor plans, as a service, subscriptions starting at $15.90/month/user (at lowest $3.18 per floor plan!). 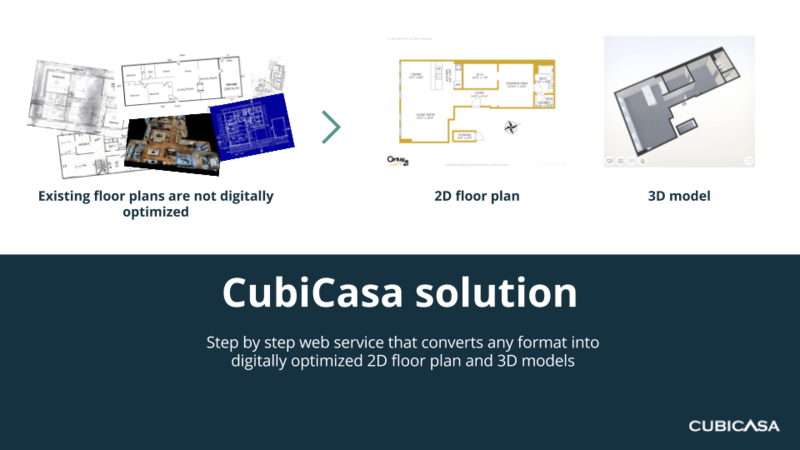 We have the capability to redraw all kinds of sources into CubiCasa floor plans and Virtual Flythrough 3D tours. The main obstacle is having the sources in the first place. Luckily, we are a technology company, capable of developing and delivering new solutions. The founders Harri Pesola and Jarmo Lumpus have already attended the first event, hosted by none less than Realogy. Our “Shark Tank” presentation was successful with a lot of great ideas and feedback! Next, we are heading to Atlanta, GA, to attend NAA Education Conference & Exposition on June 21-24. Stay tuned and follow our Twitter, LinkedIn and Instagram feeds!